Unusual and strange sounds in the middle of the night? Slamming of doors even when there’s no wind? Your dog, barking at nothing? Seeing unexplained shadow? These are the signs that should not be casually ignored, as they can mean something deeper. Sometimes, a human is not able to see the spirits, but an animal is. Thus, if you have a pet and its behavior has changed suddenly, do not ignore this. The people who do not care about the previous owners of the new house they are shifting into, or the people who do not get an adequate background check of the property that they are moving in – usually get in trouble. Sometimes, the low price of the property may not be the jackpot you have hit, but a warning sign to run away from there! Hearing voices – If you think someone has called you, but it was a false alarm, you may ignore the call thinking of it as a misunderstanding. But if it is happening to you frequently, you must get your house inspected by an expert. Hearing strange noises is the first step of having a haunted house. Breaking of Things – If you have suddenly started experiencing things breaking around you without any cause, it may not be your pet doing it all the time. Such signs are terrifying in nature, but should not be ignored or side-lined, because they may mean something deeper. Sometimes, this is the way a spirit tries to communicate with humans. Experiencing Negative Vibes – When you start feeling negative and depressed for no reason. When everything in your life is going on just fine, but then you feel that something is off. This is a very common sign that people ignore thinking about. Pets or Kids are Terrified to Enter the House – Kids and animals have senses that adults lose by the time they grow up. If your pet refuses to go into a certain room or a corner of the house, or if a kid starts whimpering or crying out of the blues after entering in a specific room, you must get a paranormal investigator to inspect the home and investigate the matter. Sudden Occurrence of Nightmares and Bad Dreams – While having bad dreams is not much of a concerning issue, but recurring nightmares, waking up in the midnight, getting bad dreams and experiencing restlessness while sleeping – are some common signs that your home might be haunted. Such paranormal activities start happening at the early stage, usually. With time they increase as the ghost becomes more powerful and stronger. 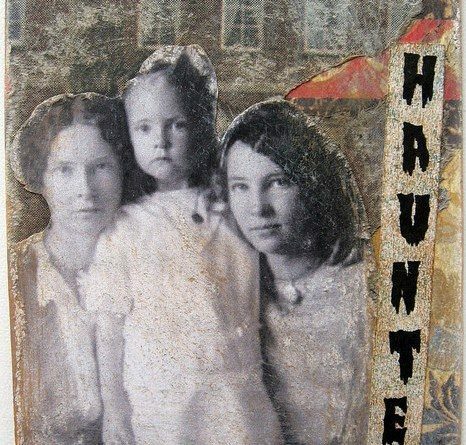 Not the entire home, but an object might be haunted – You might have seen in a lot of horror movies, that sometimes it is not the entire building that is haunted but only an item or an object. Sometimes the spirit latches to the items or objects too closely and can’t let it go. That is why you might require some expert from paranormal field. Sometimes the object that is probably haunted, might not be in your vicinity either. It can be hidden in some attic or a garage under the home, thus it is better to call an expert for the energy cleansing. Even disappeared objects have same effect and power in haunting a home, as an object that lies in front of you! Pets changing their behavior – Has your dog suddenly started barking at something? Or does your cat stares at a couch where nobody is sitting? These can be signs of some paranormal phenomenon happening inside your house. Pets are the first ones to change their behavior around something that does not belong to this world, and that is why it is necessary to monitor their actions closely to understand if something is wrong or not. Guests or Visitors feel the negative energy – If your guests do not like to stay longer in your house, or their visits have reduced suddenly, you might want to ask them the reason behind it. If the guests say they feel something bad or negative when they enter your house, you must take them seriously, for their words can be pointing to some paranormal activity going inside your house. There are a lot of gifted people who feel the effects of negative vibes, more strongly than other people. If such people say they are feeling something bad in your house particularly, you must pay attention to their words and get some help. Jeff Blaylock has been writing for https://edubirdie.com/ assignment service website, since five years now. Earlier he joined as a part-time writer, but seeing the response that his work was getting, he joined full time and left his job as a marine biologist. He was a keen reader of supernatural phenomenon and was always interested in writing and researching about paranormal activities. Being someone who has studied the vast ocean and layers of different organisms and lives existing under water, his fascination for supernatural things increased over time. Is Dark Matter Mini Black Holes from the Big Bang?